Do you love chocolate? Is ice cream your favourite cold treat? 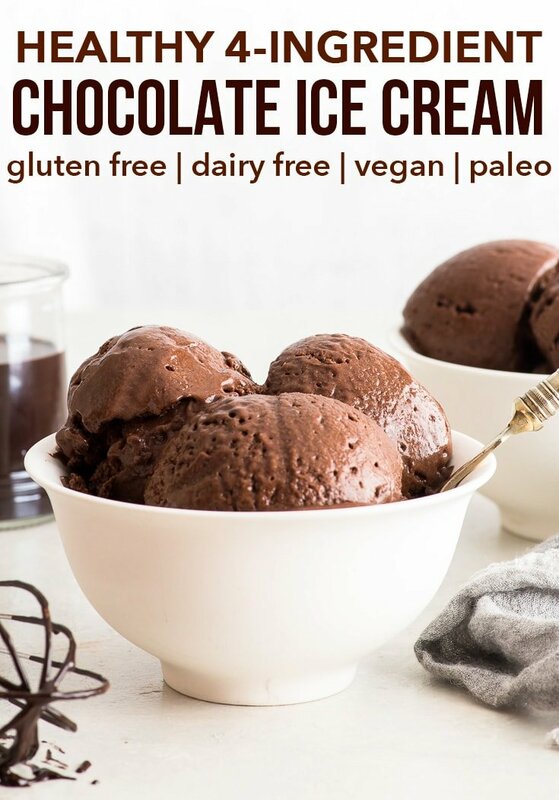 Then you’ll love this healthy chocolate ice cream – made with only 4 ingredients, it couldn’t be more delicious or more decadent. 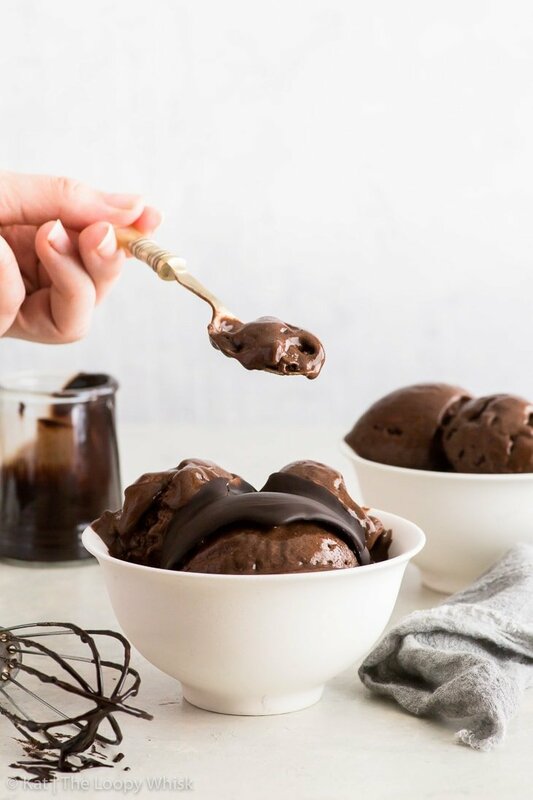 With a rich, luxurious healthy chocolate sauce, this vegan & paleo ice cream recipe is every chocolate lover’s dream. Chocolate ice cream. 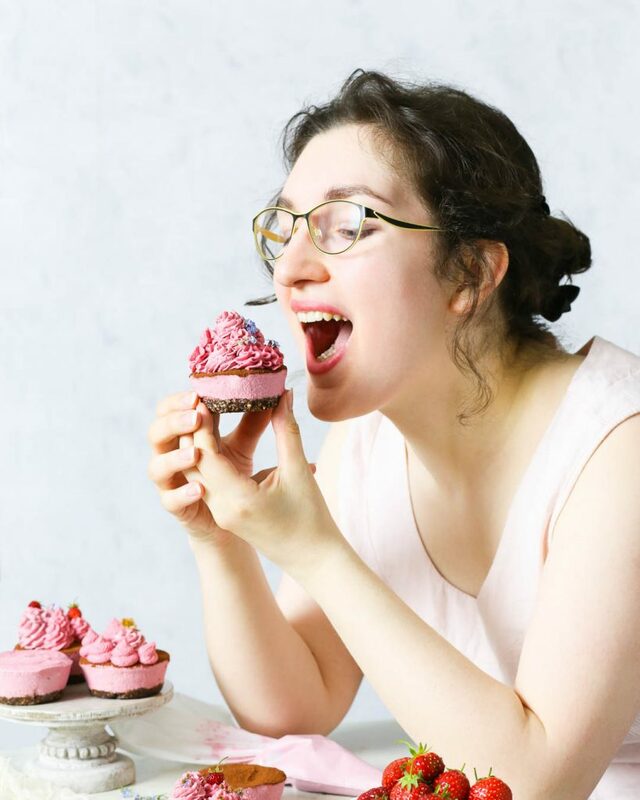 That velvety, luxurious chocolate decadence that leaves you all blissed out and just… happy. 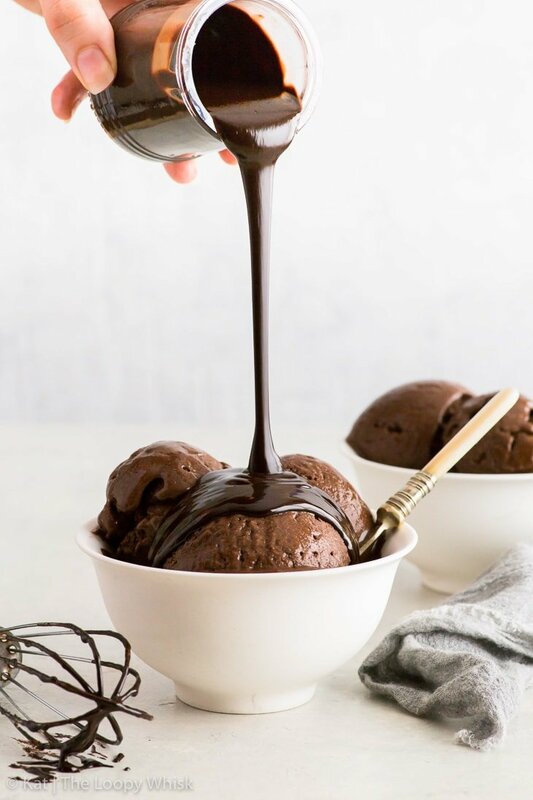 Drizzled with a rich, shiny chocolate sauce that hardens into a crackly shell once it hits the cold ice cream. It’s chocolate with a side of chocolate – and it’s healthy. That’s right, we’re talking healthy chocolate ice cream today. 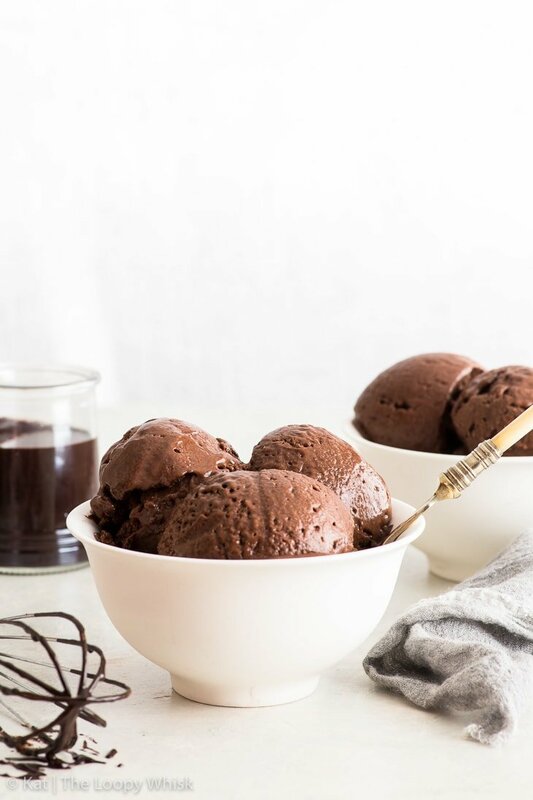 And not just any old healthy chocolate ice cream, but one that tastes like the most indulgent of indulgences, and contains only 4 ingredients. I know, it does rather sound like it’s too good to be true. This post is going to be oversaturated with superlatives and adjectives, I can just tell. 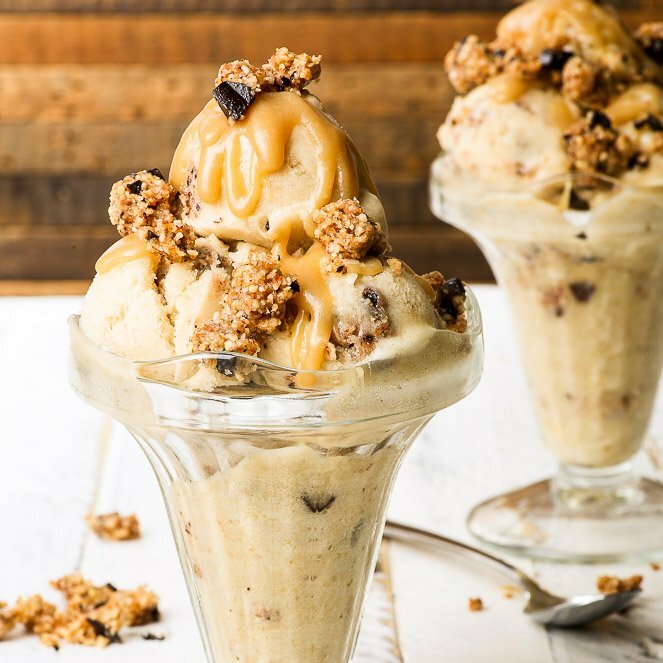 They’re my written word-substitute to bouncing up and down while over-excitedly gesticulating – so bear with me, because this easy ice cream recipe is seriously the best thing ever, and it 100% deserves every single superlative I can think of. Unless you’ve just come home from Mars, you probably know what nice cream is. 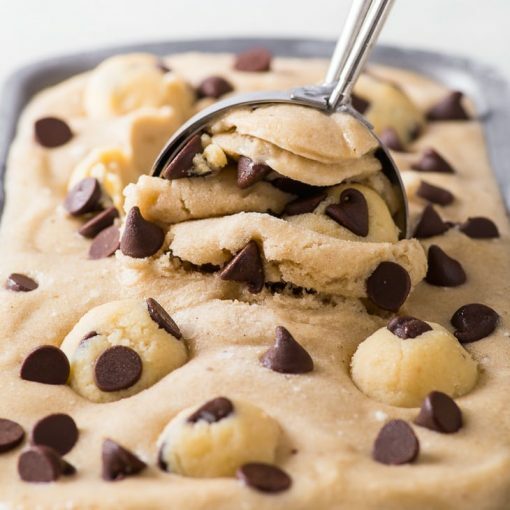 You know, that creamy concoction from frozen bananas that is the perfect healthy substitute for ice cream, with the marvellous benefit that you can actually eat it for breakfast. 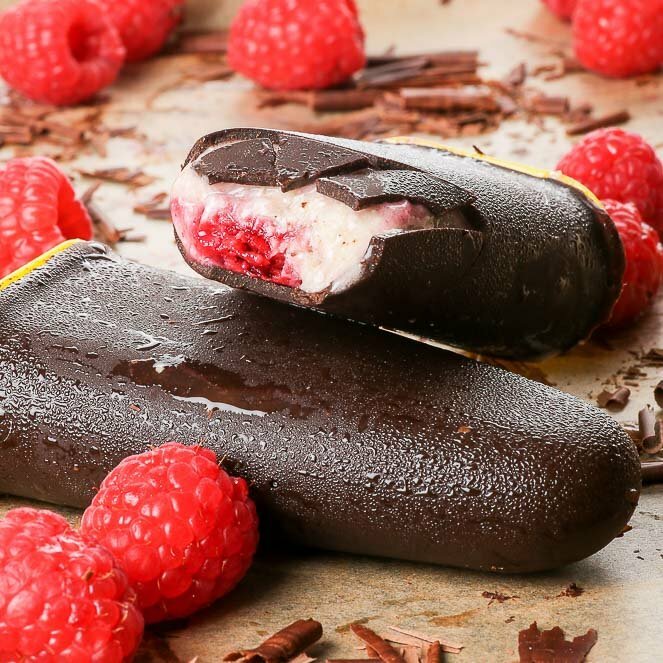 Well, this healthy chocolate ice cream is actually a nice cream – just supercharged. We’re amping up the creaminess by including coconut cream, and adding a bit more sweetness with some maple syrup. The chocolate element comes in the form of cocoa powder… and before you get all sceptical on me, let me stop you right there. The chocolate sauce, like the ice cream, is (healthy) simplicity itself: melted coconut oil, maple syrup and cocoa powder. It’s my favourite go-to healthy chocolate substitute, and it works every. single. time. 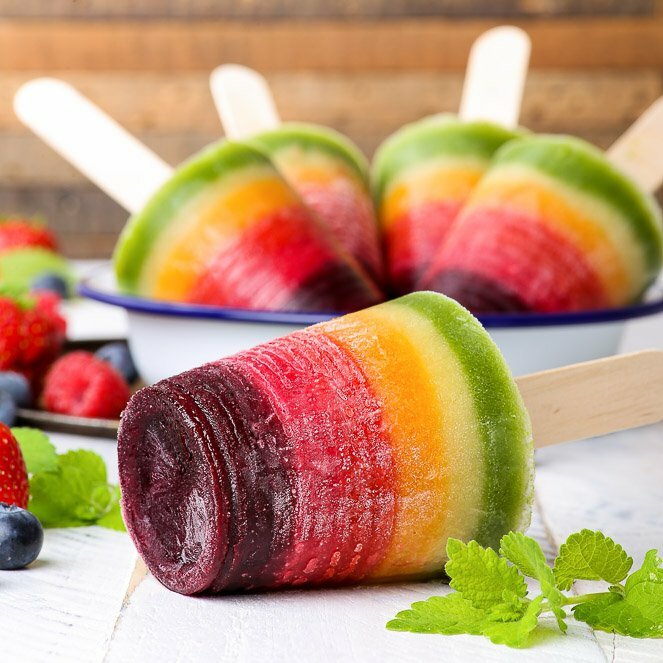 I’ve used it before in my chocolate & mint raw vegan cheesecake bites, as well as for the shell in the healthy vegan ice cream popsicles. It’s also the chocolate substitute in the (best ever) paleo chocolate cake, which people simply can’t stop raving about. And this healthy chocolate sauce drizzled on top of ice cream? Heaven. 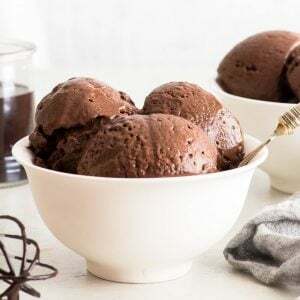 The coconut oil makes it harden the moment it hits the cold ice cream, and the gentle crunch makes the most wonderful texture combination with the velvety creaminess of the healthy chocolate ice cream. I bet you have all the ingredients for this delicacy already on hand. I bet you really really want to eat some ice cream right now. Do you love chocolate? Is ice cream your favourite cold treat? Then you’ll love this healthy chocolate ice cream – made with only 4 ingredients, it couldn’t be more delicious or more decadent. 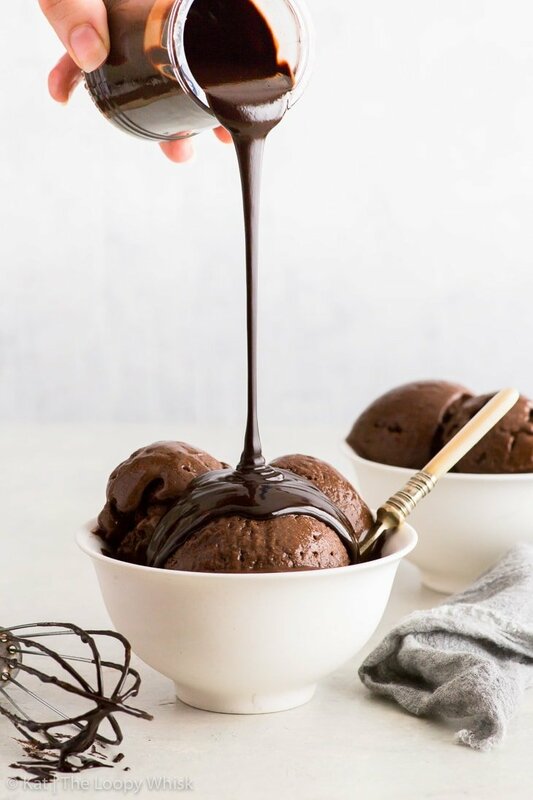 With a rich, luxurious healthy chocolate sauce, this ice cream recipe is every chocolate lover’s dream. In a bowl, whisk together the coconut cream, maple syrup (or honey) and cocoa powder until smooth and slightly fluffy. In a blender or food processor, blend the frozen bananas until creamy. Add the coconut cream + cocoa mixture to the food processor/blender and blend until evenly combined. Adjust sweetness as needed. Transfer the healthy chocolate ice cream mixture into a freezer-safe container and freeze the ice cream for at least 6 - 8 hours. If you want an extra-creamy ice cream, stir the ice cream every 1 - 2 hours until it freezes. Mix all the chocolate sauce ingredients together until smooth, glossy and luscious. Adjust sweetness as needed. Scoop the ice cream into bowls or cones of choice, and drizzle generously with the healthy chocolate sauce. The healthy chocolate ice cream keeps well in a closed container in the freezer for 3 - 4 weeks. The healthy chocolate sauce keeps well in a closed container in a cool dry place for 3 - 4 days. If it gets too firm, heat it up briefly in the microwave until pourable. Looking for more healthy ice cream recipes? You’re in the right place!